Once a hive of activity in the Irish part of Limerick, the city Milk Market have long been in decline due to increasing competition from the high street and supermarkets. So, fifteen years ago, the trustees of the market instigated a refurbishment of the space in a bid to restore it to its former glory. 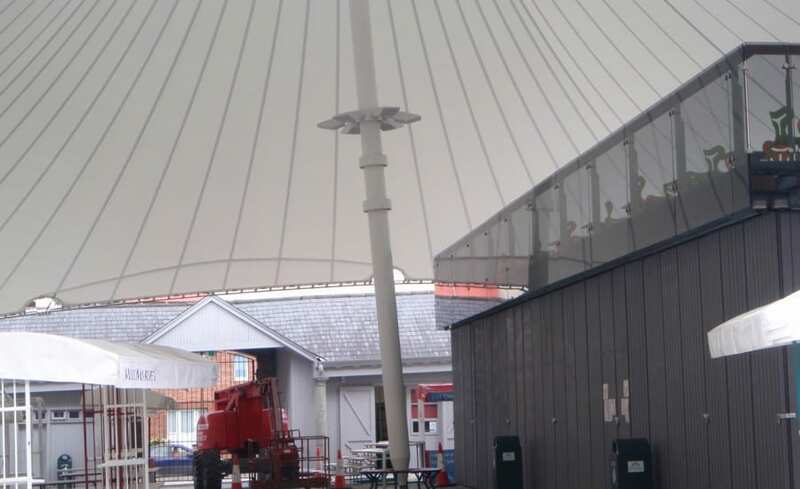 As part of the refurbishment, architects Healy and Partners envisaged the space covered with a tensile fabric canopy, creating a dramatic modern central point in amongst the beautiful eighteenth and nineteenth century buildings. 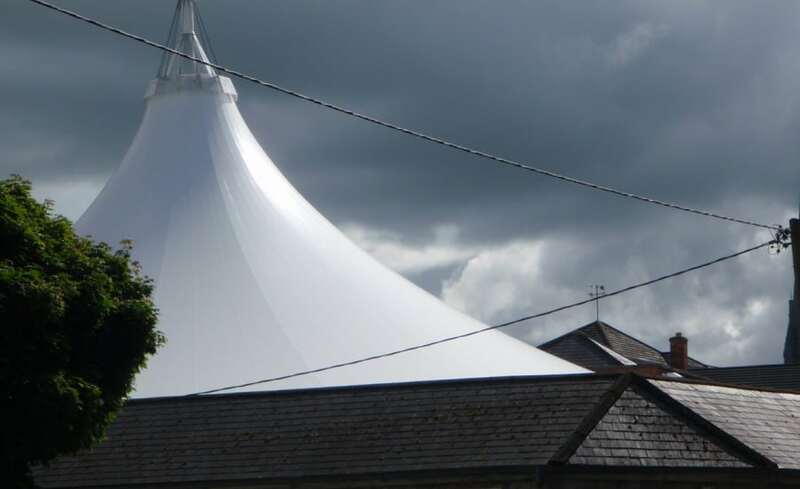 The light and airy fabric structure was intended to provide weather protection in an area of Ireland which is subject to a lot of rainfall making it an all round usable space. 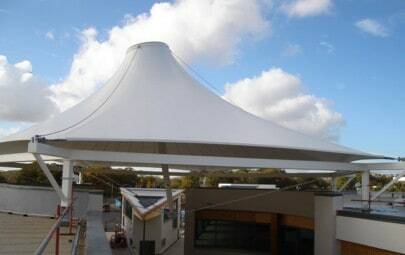 Therefore, with this vision in mind, Architen Landrell was contracted to work alongside the design and engineering team to deliver a tensile fabric solution which was both practical and beautiful. 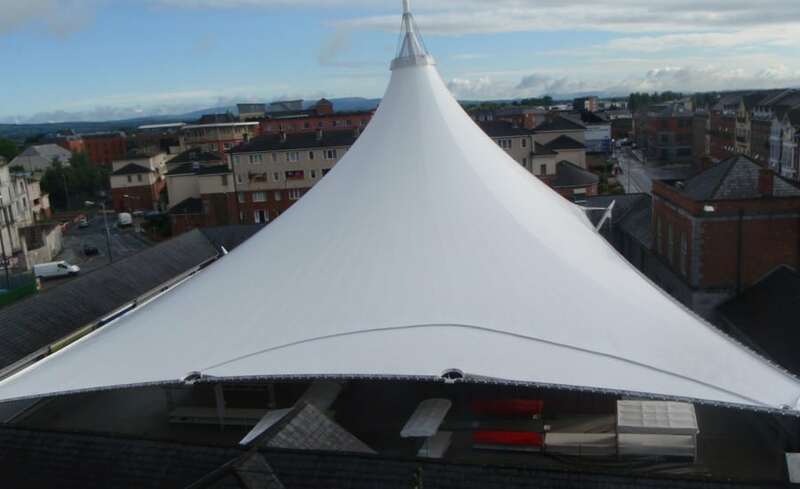 Made from PVC coated polyester, the tensile roof is formed by a single fabric cone spanning over 39m and with a surface area of 1331 square metres making it the largest of its type in Eire! To protect the age and listed status of the surrounding buildings we were not allowed to fix anything to the market buildings themselves. 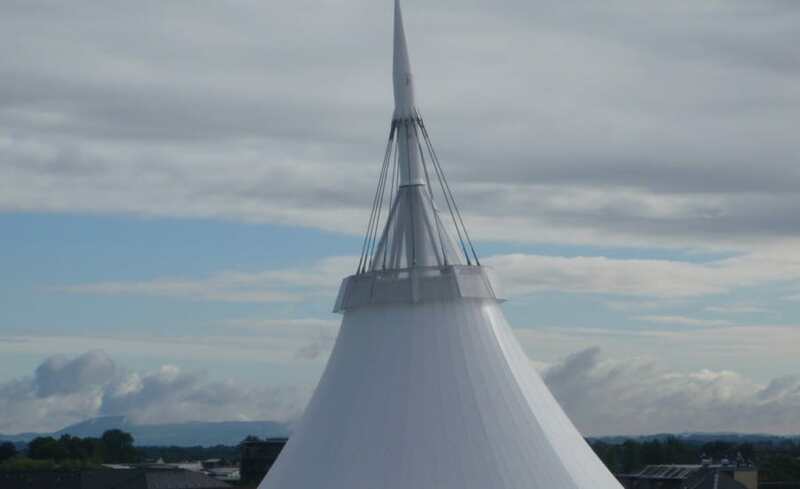 As a result the canopy is entirely independently supported by a central mast of almost 24m high which supports a head ring via 12 mast cables. In addition there are four corner posts of varying height were installed at each corner to support a boundary system of cables. 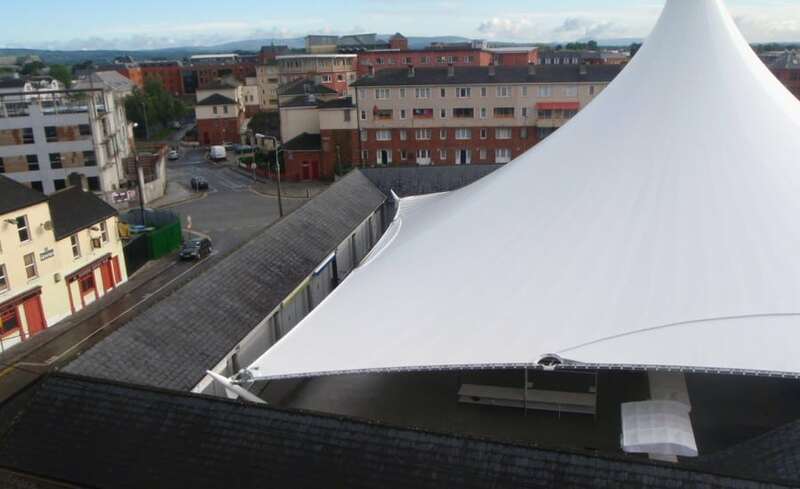 A polycarbonate eye surmounted the fabric at high level in order to fully seal the canopy from the elements. It is hoped that the redevelopment of the scheme will lead to some regeneration of what is generally regarded as a depressed area. Comment has also been made that, with the sounds retained by the canopy, a continental atmosphere has been achieved whereby there is a constant jibber jabber of voices leading to a vibrant and positive shopping experience. 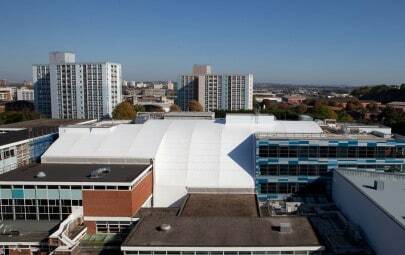 There is now talk of the market being used for concerts and social events outside the market hours! Harking back to the values of civic pride and community spirit of days gone by, the future looks bright for Limericks market culture! 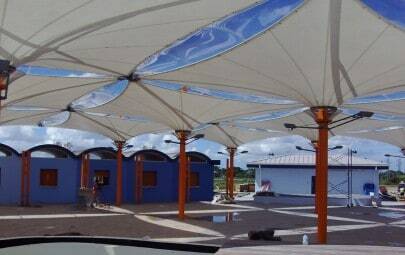 See the Milk Market canopy being installed!